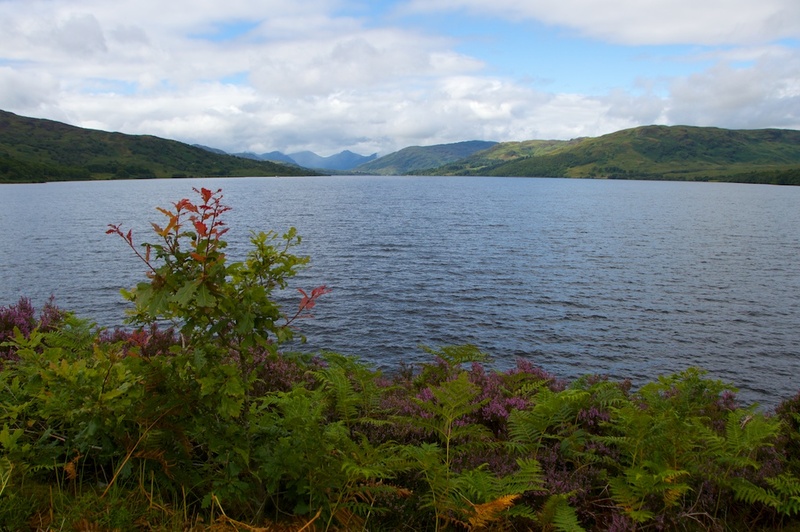 As for the word ‘molach’, one of its meanings in Gaelic appears to be ‘rugged’; I also wonder if there may have been some connection with St Moloc or Moluag, a 6th century Irish missionary who founded a church on the island of Lismore in Argyll. This is pure speculation, however. 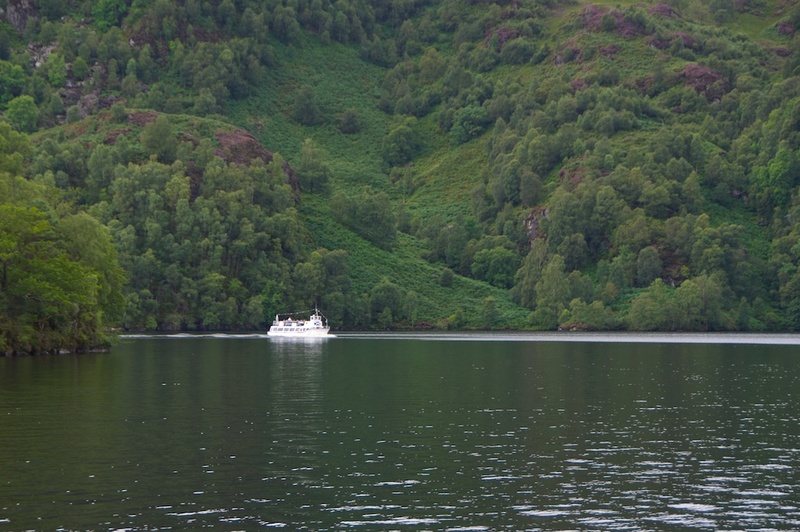 Meanwhile, here are some photos of Loch Katrine, taken in late August, along with a few lines from ‘The Lady of the Lake‘. 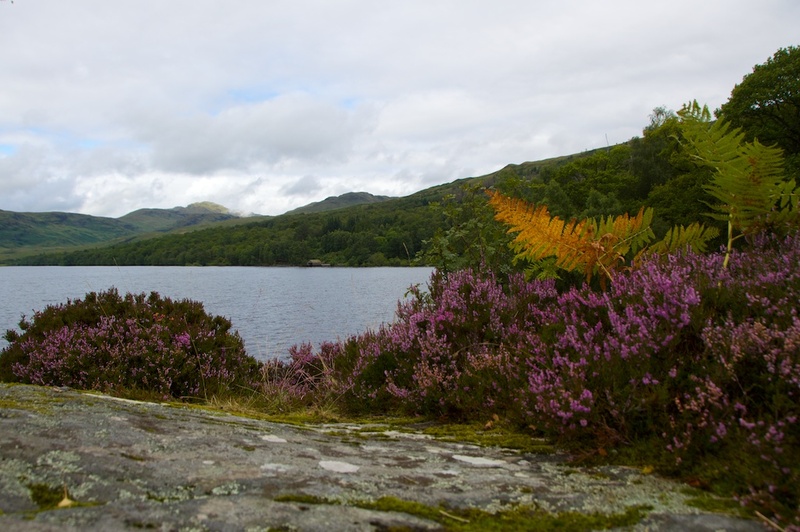 Set in the 1500s, this is a tale of rebellion and intrigue, rivalry and romance; its heroine, Ellen Douglas, is wooed by three suitors including Roderick Dhu, Chief of Clan Alpine. 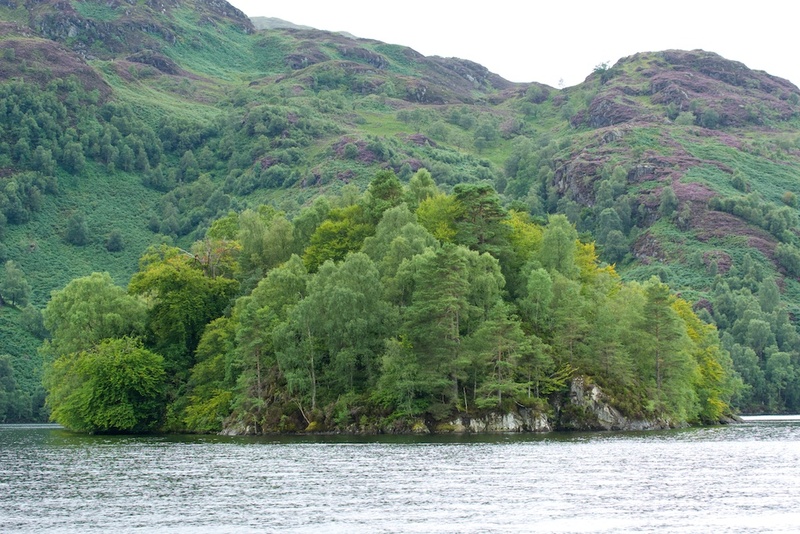 She lives with her family on the wooded island in the loch. The bold Sir Roderick’s bannered Pine. Spears, pikes, and axes flash in air. They plied the ancient Highland strain. It’s certainly thickly wooded. Could you get any more trees on that island? Incredible. Have you been on the steamer? I haven’t but I’d like to. No, I haven’t been on the steamer, Lorna – to be truthful it isn’t really my kind of thing although the scenery is beautiful. I’d prefer to see it on my own, ideally from a kayak or something! But the whole Sir Walter Scott thing seems to be triggering off quite a few ‘coincidences’ in my life at the moment! That’s curious, perhaps his ghost is following you around, guiding you to look into his past. I thought about going on the steamer earlier this year but the crowds of people shown in photos on the website put me off so I know what you mean about a kayak, that would be much nicer. Yes, there were way too many people on that boat for my liking – coach loads of them, but after all it was a bank holiday weekend! Ooh, I see what you mean, it’s eerier than I thought. I’m looking forward to the graveyard post. lovely place to see and consider, thank you for sharing. you have so many articles that interest me, i shall be back for another visit. You’re welcome, Tammie, thank you for your comment! Glad to know you enjoyed it.